Mirror Me (Antoni Girjatowicz) from Poland has already made a name for himself releasing Zenonesque style progressive psytrance. 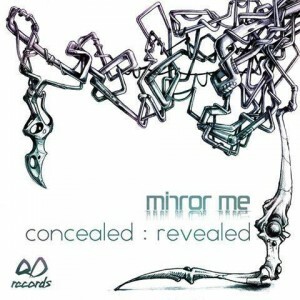 Now he’s back with Concealed Revealed, an experimental foray into the ultra-fast world of hi-tech, mixing dark and light to create a kind of “quantum shamanic” psytrance. This intriguing musical chimera is marked by rumbling drones, mathematically precise breaks, and elaborate atmospheres tearing down the wall between reality and a spectral dimension beyond our comprehension. It is not often that something so profound and rare takes place so sit tight and enjoy this pure quantum journey! Mastered by Tron Audio with artwork by Syzygium Biotope, Poland. MP3 Download | FLAC Download | WAV Download · Download count: 6,191. I really like this. I am normally more into progressive slower beats but this was great. Wow, this release is fabulous! I’m a big fan of well produced hi-tech and psycore, and this fits the bill. Intriguing, different, and it sustains interest. Great stuff. This is pure GOLD! Experimental, Quantum Mechanical, Psychedelic ! his music is so magical! love it!